"Honey, I'm home!" — you, to all of your new kitchen accessories. So, you're all moved into your first home. You have everything you could possibly need, right? 1. A classic wheel pizza cutter, because chances are you just moved into your home and you'll be ordering in while you get settled. ...and it's the perfect way to *ahem* cut carbs ;) Every home should have one of these in an easily accessible drawer, wouldn't you agree? Pizza is essential to a happy home, thus so is this utensil. Get it from BuzzFeed's Tasty collection at Walmart for $5.44. 2. A spiralizer that will transform a typically carb-filled dinner into a veggie-filled one with just the turn of a handle. All you have to do is insert your fave vegetable and turn the handle to create tasty veggie noodles. It's so easy even the laziest of cooks can enjoy it, and it's definitely a must-have item for any kitchen. Get it from Walmart for $22.13. 3. A 30-piece set of nonstick pots and pans, because every home chef deserves the encouragement that comes along with fancy new cookware. Treat yourself to a brand-new set of pots and pans. This set comes in stylish colors that will brighten up any kitchen and includes a number of features that make it worth the purchase. The cookware has a nonstick diamond-reinforced coating, heavy-gauge forged aluminum for optimum heat distribution, and silicone handles and knobs (just to name a few). It also comes with a Google Home Mini to help guide your through your favorite recipes. Get the 30-piece set and Google Home Mini from BuzzFeed's Tasty collection at Walmart for $99 (available in blue and red). 4. An electric bottle opener, so you can easily open your wine without taking your eyes off the stove. No one likes to struggle with a corkscrew. Take all the stress out of opening a bottle of wine by gifting yourself this electric bottle opener — this way you can focus on making dinner and soaking in your beautiful kitchen. Get it from Walmart for $17.99. 5. A 5-quart Dutch oven to make unforgettable recipes that Ina Garten would applaud you for. If you've already bought pots and pans, you might as well add this Dutch oven to complete the set! You can easily whip up a big portion for your friends and family in this bad boy. Get it from BuzzFeed's Tasty collection at Walmart for $27.88 (available in three colors). 6. A 12-piece dinnerware set that will make you want to host brunch every single weekend. These stoneware plates feature a delicate lace pattern around the edges and they make me want to squeal. The set includes dinner plates, salad plates, and bowls — so you'll be more than ready to host a charming brunch in your new home! Get it from Walmart for $44.92 (available in six colors). 7. A handheld grater to easily shred potatoes, chocolate, and, of course, cheese. 8. A Crock-Pot that will literally do all the cooking for you. You're welcome. Never, and I mean NEVER, underestimate the power of a good Crock-Pot. This specific one is dishwasher-safe (yes! ), has removable oval stoneware that doubles as a serving dish and a convenient warm setting, and makes enough food to feed nine people. It will quickly become your go-to when you start hosting dinner parties in your new home. Get it from Walmart for $19.77. 9. A colorful measuring cup and spoon set, because you're not an actual adult until you have the tools to properly measure ingredients. Complete with five measuring spoons and five measuring cups, this set will have you ready to get cookin' in your new kitchen. Get it from BuzzFeed's Tasty collection for Walmart for $5.97. 10. A coffee maker to ensure you're sufficiently caffeinated at all times — moving is hard enough! Whether you're planning to whip up a ton of treats for a festive brunch or you need an extra burst of energy to stay up all night unpacking boxes, you simply need a decent coffee maker. Get it from Walmart for $19.88. 11. A six-piece nonstick bakeware set that will have you ready to take on any baking challenge that comes your way. Just because you don't have a sweet tooth doesn't mean you don't need bakeware! This six-piece set comes with a baking sheet, a muffin pan, a rectangular cake pan, a round cake pan, a loaf pan, and an emoji-themed timer. You can use these items to bake potatoes in the oven, whip up mini quiches, make lasagna, and SO MUCH MORE. Get the six-piece set from BuzzFeed's Tasty collection for Walmart for $26.34. 12. A Cuisinart Griddler, so you can make mouthwatering burgers even if you haven't purchased a backyard grill yet. Using the Griddler is so simple a monkey could probably do it. Throw your meat on, close the double grill pans, and BOOM — dinner is served. You can also use it to make fantastic paninis. I'm not sure what I would do without mine! Get it from Walmart for $104.88. 13. A 40-piece set of storage containers that will guarantee you'll have more than enough ways to save the leftovers of the fantastic meals you'll be making. These containers are a blessing. They will hold all of your delicious leftovers and keep your cabinets organized! So adult. The set comes with containers of all shapes and sizes and are both freezer- and microwave-safe. Get the set of 40 from Walmart for $16.97. 14. A vibrant set of silicone utensils, so you can ~stir up~ some fun in the kitchen this year. Add a pop or color to your kitchen counter by throwing these silicone utensils into the mix! The set comes with a soup ladle, a solid spoon, a slotted turner, and a solid turner. You'll be ready for any recipe that gets thrown your way, that's for sure. Get the set of four from BuzzFeed's Tasty collection for Walmart for $17.76. 15. A rice cooker and food steamer that prepares up to 8 cups of any type of rice with just the click of a button. I have this exact rice cooker and I could not be happier with it. My husband insisted we buy it to make our lives a little easier when trying to make healthy meals during the week. It does all the work for you so you can prep the rest of your meal while your rice cooks — it's fantastic. Get it from Walmart for $29.92. 16. A two-piece strainer set, so you can rinse off some strawberries or drain your favorite pasta without any hassle. Every chef needs a good strainer! This set is stackable, so you can store it easily. It also comes in fun colors (who doesn't enjoy that?) and features a non-slip bottom. You can now strain your noodles/greens/fruits right over this bowl instead of — gasp — losing any of your precious ingredients to the sink. Get a set of two from BuzzFeed's Tasty collection for Walmart for $10.97 (available in two styles). 17. 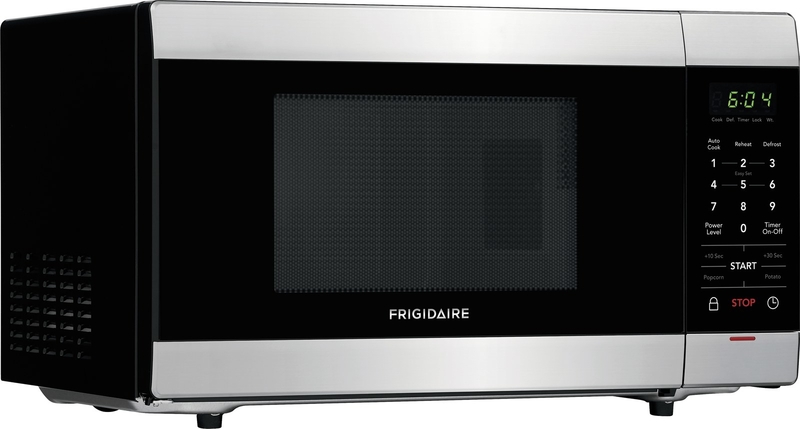 A microwave that will step up to the plate when your significant other inevitably exclaims they are simply too tired to make dinner. Let's face it — you're not going to want to cook every single day for the rest of your life. 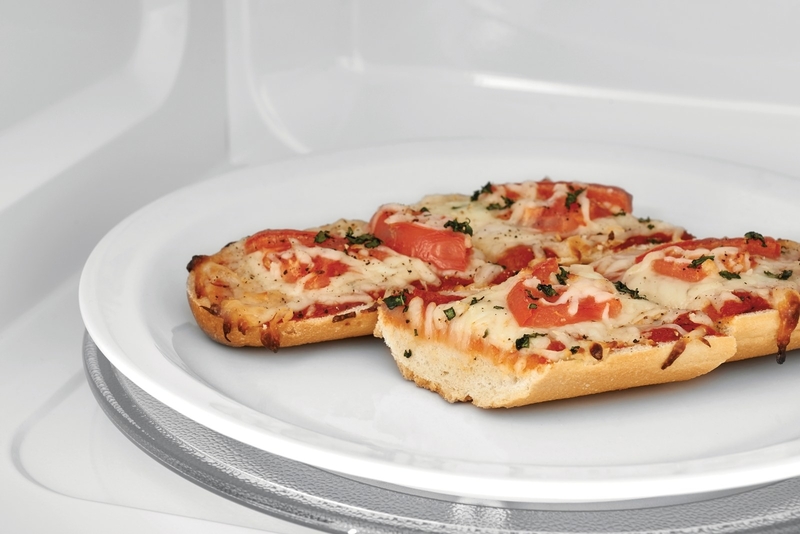 There will be days you need to microwave pizza or a frozen dinner. Don't be foolish; make sure you have a microwave. Get it from Walmart for $89. 18. A carbon steel wok, so you'll be ready to wok 'n' roll come dinner time. Make sure you have this wok handy the next time you're channeling your inner Migos, "in the kitchen, wrist twistin' like a stir fry." If you know, you know. This fab pan features a nonstick coating and a soft silicone handle for extra comfort. You just need it. 19. A bamboo charcuterie platter that will let you show off your cheese-plating ~skillz~. Ugh. Just thinking about a fancy cheese plate makes my mouth water. Your guests will have that same reaction the next time you put together a spectacular arrangement of snacks on this charcuterie platter. It can also be used as a cutting board, a serving tray, or a butcher's block! Get it from Walmart for $19.99. 20. A 19-piece kitchen utensil set, so you can't complain about missing the tools for that recipe you've been dying to try out. "Oh, it says I have sift the flour... Guess I can't make that cake after all." WRONG! After adding this full set of kitchen necessities into your home, you'll never have a reason not to whip up a tasty snack again. Get the 19-piece set from BuzzFeed's Tasty collection for Walmart for $39.76. 21. And a KitchenAid Artisan Series 5-quart stand mixer, to really solidify the fact you're an adult and YOU BOUGHT A FREAKIN' HOUSE! If I had to guess, I would say the KitchenAid stand mixer is the number one most-asked-for item on a wedding registry. This is the big-ticket item — and a standout one that screams "ADULT!" While it does cost a pretty penny, it is so worth it. With over 18,500 five-star reviews on Walmart, this item pretty much speaks for itself. It comes in so many colors, you can decorate your whole kitchen around it — and don't get me started on the features! It has 10 optimized speeds that can take any on recipe you throw at it, has a tilt-head design for easy cleaning, and comes with four attachments. Get it from Walmart for $259.99+ (available in 21 colors).